Thank you to everyone who voted NO on Proposition A! 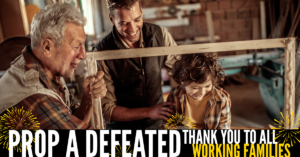 Thanks to you, and thousands of hardworking Missourians, we stopped out-of-state CEOs and large corporations from attacking working families. 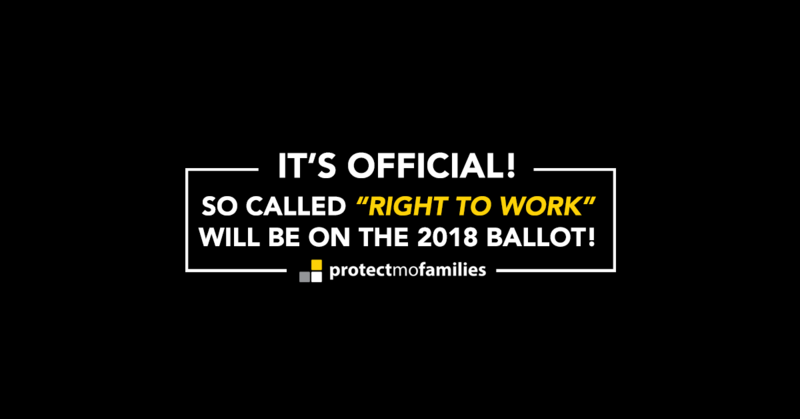 From day one we knew the power of the middle class and working families — and on August 7, we all showed our power and the positive vision we have for our state by soundly defeating Proposition A and preventing Missouri from becoming the next so-called “Right to Work” state.